This LinkedIn Workforce Report is a monthly report on employment trends in the U.S. workforce. 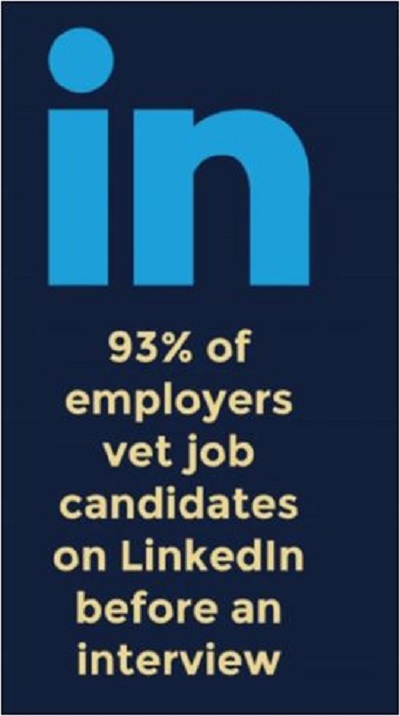 Having a completely optimized LinkedIn profile and resume ready-to-go is key! Learn about our LinkedIn Profile and Resume Services. To further read LinkedIn’s Boston November 2018 Workforce Report. Regardless of where you live in the Boston area – having the essentials (LinkedIn Profile, Resume & Cover Letter) is paramount to start your job search. We are located in Washington, D.C. and our goal is to make you and your profile/resume visible to job recruiters and sales prospects on a 24/7 basis. We write for all levels of professions & industries. We’ve studied LinkedIn, we’ve listened in on webinars from top industry experts and have acquired and studied closely #1 Best Seller books on the topic of LinkedIn Profile Optimization. We didn’t stop there! We (well, the owner) has made a point since the start of her business to connect with the most ‘well known’ experts on LinkedIn. This provided an opportunity to study their work, study their habits and glean knowledge that she then meticulously applies to every LinkedIn profile writing project. Our professional writers will polish the presentation of your skills and accomplishments. We create profiles with in-demand, relevant words that increase your visibility. Below is a client resume and LinkedIn profile example. Who are our clients? We provide services to everyone from newly-qualified individuals looking to start promising careers to those wanting a change of career, and individuals taking a step up in their careers and to those who realize it’s time to brand themselves online. A blank online page of you isn’t the best professional you. We write for all levels of professions & industries: ► Small Business ► Entrepreneurs ► Consultants ► Speakers ► Job Seekers ► Experts ► PhDs ► C-Suite ► Executives ► Recruiters ► Human Resources ► Sales Professionals & MORE! Business Consulting | Executives | Finance | Government | Healthcare | Human Resources | IT | Legal Services | Military | Media | Nonprofit | Oil & Energy | Pharma | Authors & Writers | Professional Services | Real Estate | Recruiting | Religion | Retail | Sales & Marketing | Sports | Supply Chain & MORE! What is our objective? To help our clients prepare winning professional LinkedIn profiles, resumes, company pages, cover letters and more. We want to know as much about your career history as possible – your input is paramount. We know that you know your top achievements, skill-sets and absolute experiences and accomplishments that will stand out from the rest. This is why we don’t just take your resume and get to work. We provide you a questionnaire with thought-provoking questions to aid in the recall of your accomplishments and value-added responsibilities. We are 5-Star rated on Google. Want to contact us?